There seems to be a new spirit in a move to solidify the growing movie culture in the Federal Capital City of Abuja and establishing it as a major movie destination in Nigeria. This sentiment was shared recently when the media was hosted to a preview of the latest effort in this direc­tion. Three Abuja based companies, Pace Pro­ductions, Future World Entertainment and Aikod Global Entertainment, had part­nered in this new arrangement for Capital film. The movie, Conscripted, xrays the chal­lenges of security forces in a bid to combat­ing the activities of terrorists in our society, the strategies and modus operandi of these terrorists, while proffering possible solu­tions through the dramatic presentations in the action packed movie. Conscripted, celebrates the best of the capital city, with beautiful picture qual­ity and superlative choreographic presenta­tion of several action scenes. 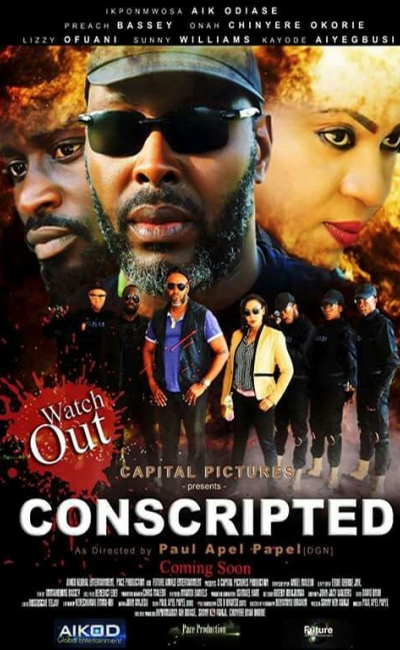 An all Abuja cast, Conscripted is a courageous effort at departing from the regular themes of our usual Nollywood movies.